What About Exotic Pet Insurance? 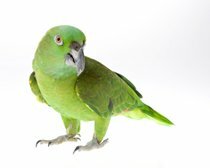 How do I evaluate insurance for my exotic pet? Unlike dog and cats, exotic pets tend to have recurring themes when it comes to their illnesses. Many exotic pet illness are related to diet and/or environment. Their diseases can be predicted more easily than dogs and cats. Occasionally there will be unexpected ailments, but for the most part their diseases are more predictable. 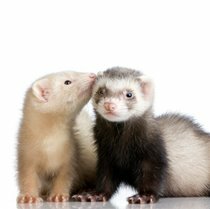 So...when evaluating VPI for exotic pet insurance coverage, make sure they cover the most common diseases associated your exotic pet. Then make sure the monetary payout will help cover the costs associated with your geographical location. Unless you have a bird and purchase the Routine/Wellness add-on, elective or maintenance procedures are not covered. Except for the exclusions listed above, at first glance, VPI appears to cover ailments common to exotic pets. However, I do not know how the underwriters will use the congenital and hereditary exclusion. It will be up to you to decide whether or not the reimbursement is enough to cover the costs for your geographical location, and whether the exclusions are appropriate for your situation. « PREV: What About Accident Only Policies?